A new 80-storey development in Toronto will become Canada’s tallest building with the owner promising it will put the junction of Yonge and Bloor Streets “on the international map”. 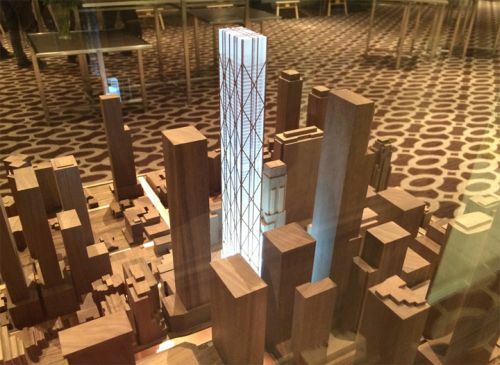 Sam Mizrahi plans a mixed-use tower with retail and residential units and a Hyatt hotel. The plan is to create a destination retail space to rival New York’s Fifth Avenue. The glass ‘exoskeletal’ construction would be an amazing feat of engineering and would breathe new life into the area that has been occupied by Stollery’s store since 1901. Read the full story.